For many people, the summer months mean it's time to tap into that bank of vacation days and spend some time relaxing in the warm weather. With the cost of travel a lot lower this year, the possibilities of hitting the road for a little R&R seem more feasible than ever before. Funding that vacation could mean pulling out your plastic--even if you hadn't intended to in the first place. Experian, the credit-reporting bureau, recently found in a study that summer travel could add to credit card debt in surprising ways. The travel industry predicts that 2015 will be a banner year for Americans to travel, and there are plenty of reasons why. AAA Motor Club says that gas is still relatively cheap, so it's a lot cheaper to hit the road. Air travel will also be popular this vacation season. Airlines for America, an industry association, predicts that from June 1 through August 31, airlines will have 192 million passengers flying domestically and 31 million flying internationally, an increase of eight million and two million passengers respectively. AAA notes that the dollar is about even with the Euro, which makes travel to Europe more economical, and the harsh winter in many parts of the country incentivized people to use their vacation time to escape to warmer climates during the summer. Consumers also have vacation days to burn, and they opt to do it during the warmest time of year. 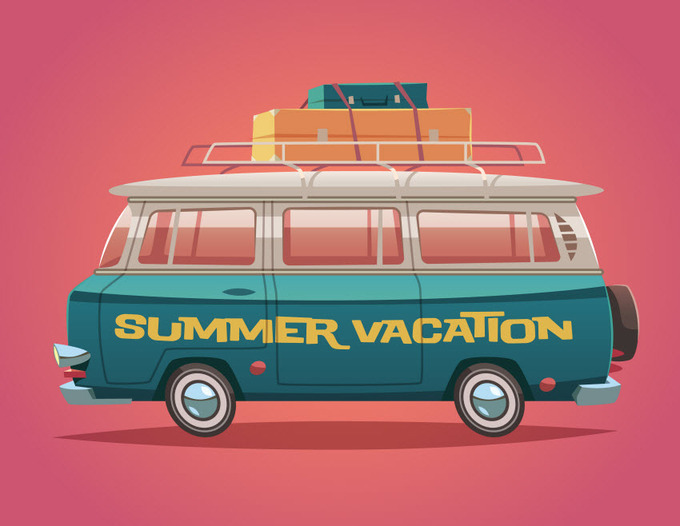 A recent Citi ThankYou Premier survey found that on average, consumers save over one-third of their vacation days for summer travel. A good 30 percent of consumers plan to use at least half of their vacation time during summer. However, being on vacation and having that carefree vacation spirit can lead to unintended spending and potential unwanted credit card debt. Experian's survey found that nearly 70 percent of vacationers spent more money than they planned on when they travel for vacation. Sometimes this was because they were hit with unexpected fees, other times it was because they spent more than they planned or hadn't saved up enough money to pay for the vacation in the first place. In order to pay these expenses, they often reached for their plastic to cover the costs. For about half of those surveyed, that led to having a large credit card debt. "People want to come home from vacation with happy memories, not with unanticipated and unmanageable credit card bills," said Guy Abramo, president, Experian Consumer Services, in a statement. "Racking up excessive credit card debt without a plan to pay it off can put people, especially millennials, in a bind that could affect their financial health and credit status for years to come." Experian found that millennials didn't budget as well for vacations as other generational groups and accumulated more credit card debt from their travels. While 49 percent of survey respondents came home from vacation with credit card debt, 52 percent of millennials faced this problem. Likewise, they also didn't financially plan out their vacations as well--while 46 percent of respondents paid for vacations with credit cards if they hadn't saved up enough money beforehand, half of millennials faced that issue. Millennials also found themselves cancelling vacation plans more because of problems with their personal budget, and they also relied more on their tax refunds to help them pay for their travel plans. While summer vacation time is a fun way to relax, get away from the everyday stress and enjoy life, accumulating a lot of credit card debt can leave you with a bad vacation hangover--and with the holiday gift giving season approaching, it's wiser to budget and plan ahead, rather than pay for that vacation for the rest of the year.